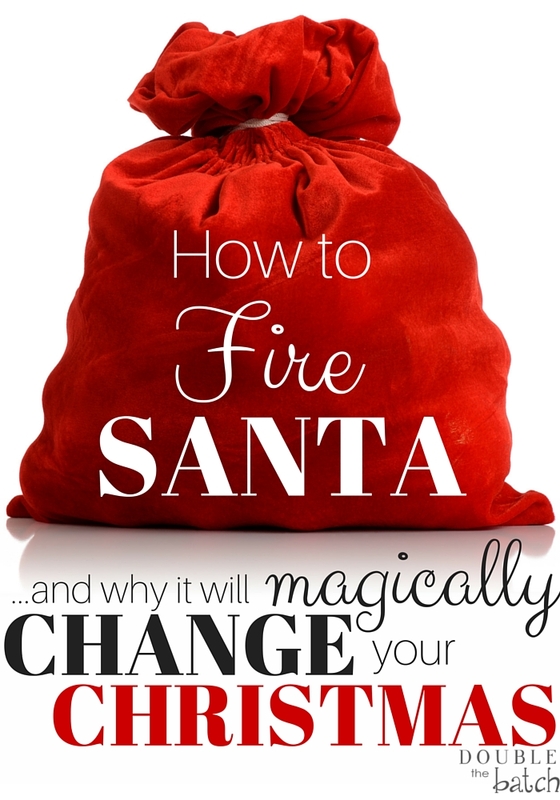 How to fire Santa and change Christmas Forever! **Reminder! If you are doing holiday shopping, don’t forget to activate your cash back from your Ebates account. This is the time of year when I get the most back (if I actually remember to activate it!) You can install this button on your browser and it will remind you every time you go to an eligible site for cash back! I also highly recommend ZULILY for great deals and discounts on gifts for kids! First of all, I am not a santa hater, just a mom on a mission. Every year I tell myself that I’m going to simplify Christmas and focus on teaching my kids the true meaning of Christmas. Then every year, I end up ALWAYS getting caught up in the commercialism and the last-minute gifts I couldn’t resist…followed by regret and an overdrawn budget to account for in January. This is usually also followed by toys that get forgotten and children with high expectations for next year. This year is the year we learn from our past. 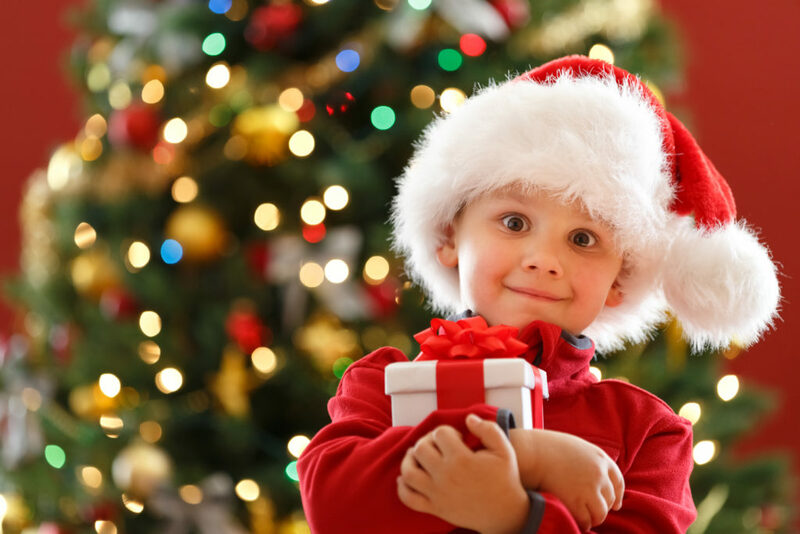 In pondering how to make Christmas special this year and also instill the value of GIVING in our munchkins hearts we have come up with a new plan! Draw names. My kids will each get a sibling who they are responsible for giving to this year. They get to look over that persons wish list and decide how to truly make their Christmas magical this year, not only from buying gifts, but serving them in secret ways without getting caught. Earn the Money. We will be having some fun family projects and service projects for exteneded family members in need to help ‘raise money’ for our Christmas this year. Afterwards, each child will have a budget of how much they get to spend on their person. Buy the Presents. You might think this will be a huge stresser to take each child to the store to shop but NO. You see, that’s the beauty of Amazon Prime with free 2 day shipping in this house! We’ve been given tools to simplify folks, and this mom ain’t afraid to use ’em! My kids add their items to the cart (one at a time of course) and then we review them together to make sure they are a good fit for their name and then click that magic “ORDER” button and DONE! If you don’t have Amazon Prime, just hop over here for a free 30 day trial for the holidays! Now for the most important part. Instead of only being focused on what they are getting this year, they will get the joy of also watching someone open gifts that they worked hard for and GAVE and the wonderful feeling that comes from that. My hope is that not only will this make Christmas more fun and exciting this year for my family, but it will also help us to simplify our efforts with less gifts, more service, more time together, and more focus on our savior, Jesus Christ. After all, it was the savior who dedicated his life to truly serving and giving to all he met. Wouldn’t he want us to teach our families the same? So, what do you think? Would you like to fire Santa this year?